Slot machine terms is the second part of the glossary at gamerisms. Hold and re-spin bonus slots, Nudge Slots, Onesies, Reel Stop and RNG are some of the lingo and jargon related to these mini-games found at this slots glossary. Denomination: most slots offer several denominations options, usually from pennies to $5. 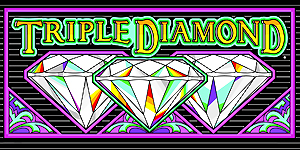 Double/Triple Symbols: whenever these symbols appear in the center of a single payline slot in combination with other symbols creating a winning combination, the payoff amount is doubled or tripled. Two or three of these same symbols increase the jackpot payout. Free Spin(s): slot bonus feature that offers one or more free spins. Also known as a no deposit free spins bonus offer used to seduce players to sign up at casinos. Fruit machines: term for a slot in the UK. Games per hour: 500/games/hour is an average for slot players. Hit and Run Winner Strategy: play a maximum bet at a single payline slot for 4-5 spins. If no credits come your way, move on to another machine. Hit Frequency: is the average number of hits/pays for slots. The lower the hit frequency, the better. For example, a 2 indicates some type of hit every second spin, while a 7 is a hit approx. every 7th spin. It is better to have a payout on average every 2nd spin, rather than every 7th spin. Hold/Re-Spin Bonus Slot: player holds the reel results while the other reels spin unassisted resulting in additional credits. Hold Percentage: percentage of coins played that casinos keep. The looser 98% slots hold two dollars while returning 98 dollars to the player. That percentage is over the long term, perhaps months, while short-term play return percentages can rise and fall quickly. Instant Winner: slot win paid immediately rather than installments, refers to progressive slots. Congrats to this Right Now Winner! Line Bet: wager for each line activated. Tip: to receive full value at a multi-line bonus slot, you should activate all available paylines. Linked Jackpot: increased by a percentage of coins bet by two or more machines. See WAP or Wide Area Progressives. Loose/Tight Slots: loose slots will have better payoffs to a certified high of 100%, on average over a period of time. A slot will have a symbol, example=2 cherries, which pay a couple of coins. These cherries will replace a symbol that does not pay, thus, a loose machine. Reverse this procedure for a tight slot. Low Level: term for the most comfortable seats in the house at slot machines. Also, know as slant slots where the screen slopes upward for easy viewing and play. Mini Games: another name for the concept of slot machines. Maximum Coins Bet: number of coins to bet for each spin. Maximum coin bet is important to qualify for top jackpots. Multi-denomination: slots offering several coin versions at the same machine. Example= nickels, quarters, 50-cent and dollars in slot machine terms. Multi-Line Slot: offer multiple paylines up to as many as 100. Most of these versions come in penny denominations. Multi-player or Community Slots: Multi-player Slots or Community Play: adds excitement to the slots playground.These multiplayer slots take up more space on the casino floor than any other slot games. Set up to accommodate at least 10 players with double seating, each station is linked to the game. 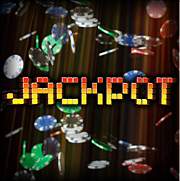 All players can qualify for the top jackpot bonus round and gather credits separately at their station. To qualify, players bet on all paylines and place a side bet. All the major slot manufacturers created fascinating versions with several payout options. Here are 7 versions to discover and explore at offline casinos. These slots games provide nine two-seater playing stations, each of which are linked to the wheel. For the bonus round, players select from tiles at the bottom of the screen and as letters are displayed, the game locates the letter in at least one of three puzzles. Each time you find a letter, the bonus value tied to that puzzle increases. Any player can start the wheel feature and gather bonus amounts to their station pick. To qualify, players bet on all paylines and place a 40-cent side bet. Individual terminals who hit bonus events have an arrow light up at their station around the big wheel. The big wheel spins once for all qualifying players and it is possible for multiple players to initiate the bonus and spin the wheel at the same time. When all nine stations are in play, the wheel is in constant motion. 2) Bally features Meet Me in the Middle and Hot Shot, Yours, Mine, and Ours! These game themes were designed to enable two people to play two different games together, while sharing the same credit meter. Hot Shot Yours, Mine, and Ours! features five levels of game-in-games, 11 possible progressives, and a giant mini-game. 3) The experience gets crazier with Aristocrat’s style of community gaming in Crazy Taxi – Fare 4 All. The game is a fun experience where players participate together in three community features. While some community style games pit players against each other, in Crazy Taxi, the players all benefit as a community. 4) Grand Hotel Big Event: features the 3-Reel Mechanical player, takes place atop the Grand Hotel, awards unique mini-bonuses triggered by up to 10 guests who may land on the Railroads, Electric Company, Water Works, Community Chest, Chance, Go! or Free Parking! On the third reel is a symbol called the Multiplier Boost that awards additional time on the player’s eligibility meter resulting in a temporary increase of their Big Event Multiplier determined by the bet placed – the larger=an increase in the multiplier. 5) Monopoly Big Event: When the Big Event Bonus triggers, all qualifying players enter the bonus round and win together. A Big Event Multiplier is also awarded in the bonus round. Play is fast, bets are big, and the excitement never stops. The Big Event Bonus is announced on the screen of every eligible player—one of 6 of Mr. Monopoly's Prize, Free Parking, Chance, Community Chest, Railroad Riches or Once Around. The Once Around Bonus is the largest and most rewarding where Mr. Monopoly keeps rolling the dice until all players move once around the Monopoly Board, starting at GO. Credits are awarded each time the player lands on a property. Additional bonus rounds are triggered if a player lands on Electric Company, Water Works, Chance, Community Chest, Free Parking or any of the Railroads. The bonus ends after landing on or passing GO. 6) The Great and Powerful Oz brings Community Gaming and Sensory Immersion capabilities to one exciting game experience where players become their favorite character as they journey to the Emerald City for a chance to encounter the Wizard of Oz. 7) The Price Is Right: Ultimate Show offers an experience beyond the game. The longest running game show in television history comes to life on casino floors with progressive bonuses where one lucky player is selected to experience one of four exciting bonus levels. Multiplier: slot feature where winning credits are multiplied 2x-10x for a bonus win. Multiplier Slot Version: pays for certain symbols on a graduating scale. On a three reel, you get 5 coins for a cherry playing 1 coin, 10 pay for 2 coins and 15 pay for 3 coins. The payouts for playing 1 coin are much smaller than if you played maximum coins. Near Miss: non-winning combinations or reel blanks. The reason there are so many near misses is that the blanks or almost winning combinations are programmed to come up more often. Nudge Slot: slot feature where a paying symbol will drop down creating a win. You just need a little nudge up or down and you are in the money. Nudge slots usually display the word Deluxe in the slot name. One Armed Bandit: slang name for slot machines. Onesies: slot players who play only one coin. All players should watch their bankroll, but this is wager suicide as you could lose a top jackpot. Payback Percentage: percentage of each dollar on a certain slot machine that is returned to players over the long term. Pay for Play Machines: slot machines that are usually 1 to 3 coin machines with staggered payoffs. In other words, the more money played, the better the payouts. Payline: alignment of reel positions where symbols land to determine results of payout. Payout: number of credits converted to cash paid out for a winning combination(s). Paytable-pays: slot pay schedule that details the value of payouts for each symbol, line, scatter pay and/or other winning combinations offered by that specific game. Tip: scan the slot paytable before play to determine payouts for specific winning combinations. Pokies: lingo heard in Australia and New Zealand referring to slot and fruit machine games. The origin is a shortcut of poker machines. Primary Jackpot: top prize offered when a player hits a specific combination. Progressive Slots: offer growing jackpots dependent upon amount of monies played through the linked bank/carousel slots. All progressives are at least three coin max slots. Values are reset to minimums after a win. Maximum coin play is mandatory here. Progressive Slots Online: can be linked from one casino or linked through several online gaming sites. Example: Slots software manufacturers like Microgaming or Cryptologic offer their own progressive mini games jackpots. There are sites online that provide updated jackpot totals for progressive slots. Reel Stop: one position on the reel, either a symbol or blank space that determines the results of the game. Reels: number of wheels/reels displayed in window of slot imprinted with symbols specific to that particular slot theme or game. RNG or Random Number Generator: a computer program of numbers created by the manufacturer related to a reel result that is then duplicated. Higher payouts are assigned fewer numbers, while lower payouts assigned more numbers. The RNG then sequences through a series of numbers determining a result when the player triggers the spin button or slot handle. This program is also designed to determine the slot’s average payout percentage. Slot Machine Terms is Part 2 of 3 for the Slots Glossary.